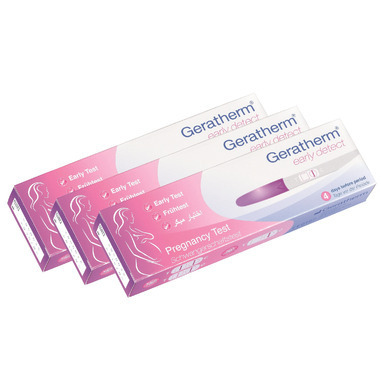 Geratherm Early detect is a new pregnancy test on the market that is 99% accurate and detects up to 4 days before your period. It is one of the MOST SENSITIVE tests on the market detecting hCG at 10 IU/L in urine. 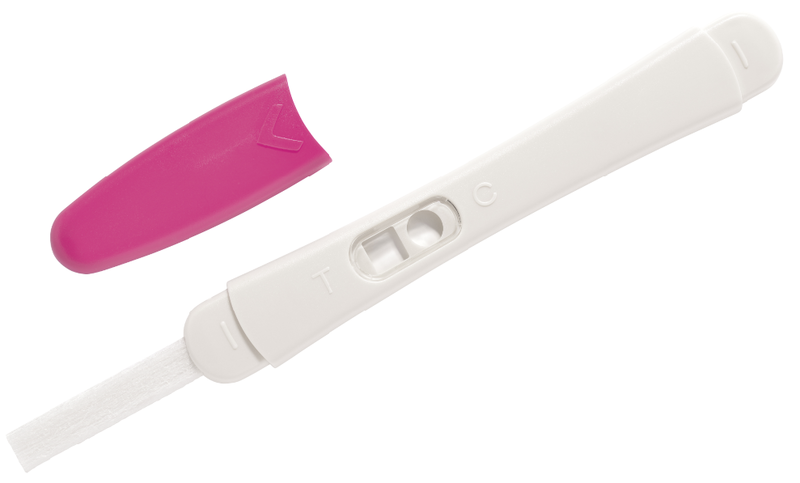 Different to other pregnancy tests, it allows for accurate results in a clean and more hygienic way with its extra long test strip. Precautions: Please read all the information in this package insert before performing the test. Do not use after the expiration date printed on the foil pouch. Store in a dry place at 2º - 30ºC (or 36º - 86ºF). Do not freeze. Do not use if pouch is torn or damaged. Please keep out of reach of children. For in vitro diagnostic use. For external use only. Open the foil pouch just before running the test. We purchased this as we prepared to get pregnant for the first time. My wife was late for her menstrual cycle so we tried it and it clearly showed she was pregnant! The test was easy to use and felt like a high quality product. I highly recommend this product, much better value in a 3-pk. Simple and easy to use. All pregnancy tests are the same. This one definitely had a longer strip to pee on though! I do not like these tests. The packaging and directions are all in other languages. Hard to find the English. Also wasn't as clear to read as others. This 3 pack is a great value for a really nice pregnancy test. Great product with fast results! Of the tests I've used, these have been excellent. The strip to pee on is actually really long and the results showed within a minute! It was actually very fast. I would recommend!